The first in a series of books and/or things I think are really, really cool/good/strange/scary/funny etc. Short Version: If you are looking for some bite sized magical realism, there is no better collection out there! 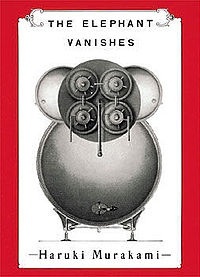 The Elephant Vanishes is a short story collection by Japanese surrealist author Haruki Murakami. These stories provide glimpses of the impossible, magical realism at its finest, the hidden glimmer of beauty and loss in the mundane. When I first read this back in ’93 (I think?) it was a revelation to me, the culturally Japanese world coupled with the style I previously associated only with writers from the Americas.